Anthony and Associates has building designers who are qualified to do any kind of building projects. That means they have the necessary skills to design houses, commercial buildings, and industrial buildings. They are not limited to designing new builds since they can also come up with a design for home renovations and home extensions. 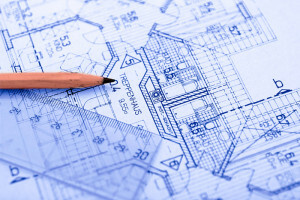 The building designer at Anthony and Associates will see to it that the design they come up with will suit your needs. They will make sure that the designs they produce meet your budget requirements. They can also suggest some designs that do not cost a lot to maintain. Also, the building designer can give you an idea what home designs have a potential resale value. Their job is not limited to designing homes or buildings. The building designer can deal with all the required approvals and they can also deal with the construction work so you do not have to worry about a single thing. • Good Quality Home Designs – With Anthony and Associates, you can be assured that you will be ending up with magnificent home designs. You can take a look at their past projects to get an idea of what type of designs they can come up with. • Good Listeners – As a professional building designer Perth, it is important that the person you choose to design your home will listen to what you want and make sure that the design will meet your needs. The designers at Anthony and Associates know how important it is to listen to their Clients in order to provide a design that they will like. • Highly Skilled Designers – The designer at Anthony and Associates has all the necessary trainings and education required to practice in Perth, WA. As a matter of fact, the head designer has a degree in Architecture. With that you can be assured that you will be getting designs from certified professionals not just from someone who claims to be a Perth building designer. • Experienced Designers – The head designer and founder of Anthony and Associates has years of experience under his belt. After graduating from UWA, he has worked for one of Perth’s leading design and drafting companies. That enabled him to gain enough experience to establish his own design company. On top of that, after establishing Anthony and Associates, they have already dealt with more than 200 home addition projects. • Value for your money – By getting the services of a Perth building designer from Anthony and Associates, you can be assured that you will not be overcharged for their services. You can be certain that you will be getting your money’s worth since their designers are professionals who are experienced and qualified for the job. You have to be wary of people who are charging much less since they may not all be experienced enough to actually come up with quality designs. We know how hard it is for would-be homeowners to choose a good building designer Perth. 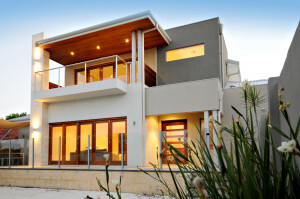 The list above should help you in choosing a Perth building designer for your home. 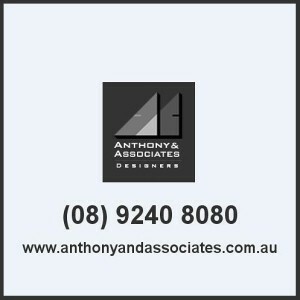 If you want to start your journey of building a new home or adding an extension to your home, get in touch with a Perth building designer from Anthony and Associates. They have designers who will surely listen to your needs and what you want to get out of a home design. Call them up today to start discussing your dream home design.